When I decided to stop working a Monday-Friday job and work for myself, it was a big change for me, and the biggest change was my schedule. As a teacher, I knew in advance every work day and off day a year in advance. Furthermore, I knew my Monday-Friday schedule to the hour and had bells (and students) to remind me should I forget. I was on the clock and free time or self-time was obvious. 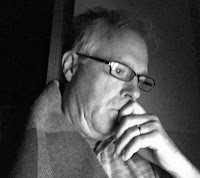 After retiring from that schedule of 34 years into a schedule much more open, rather than finding more time to write, I found less. This might sound counter-intuitive, but the more fluid schedule was soon filled up with things I had never gotten to, or filled with "finally having a chance to do it right" activities now that I wasn't away from home in a classroom or office every day. I had to adjust to that, to come to terms with a sudden lack of tardy bells in my life. Writing priorities begins with other priorities: rest, food, exercise, time with family. If I ignore these priorities, they whisper to me all the time, distracting me. What worked earlier still works. I found writing in the early morning (time between 5 and 6 AM) effective when I taught, and that time still works well for me now. I'm an early-morning person and find the wee hours a time of creativity and clarity. Building momentum is important. This is something that worked well for me before I retired from working as a teacher. I write every morning, the story builds momentum, and then more time is easy to find. My writing time later in the day will vary from morning to afternoon, depending on exercise, grandkids, and the time of year. Creation is not work. I need to remember this and to allow the joy of creation to be in my life. Now, finishing a publication is work. A good work, but still a task. However, I find joy in creating a story, and I have to allow myself the option of wandering, starting over, getting lost, or just camping out for a while at some place along the path that is especially beautiful. I guess Joseph Campbell would say that it's not enough to follow the path if there is no bliss. Honesty. I need to separate the above four points with just plain laziness. At some point, non-writing can become a habit, non-writing can be a part of a daily routine that is filled with other activities, all of them perhaps good and meaningful, but not writing. The most fundamental definition of "writer" is one who writes. I need to remember that and not lie to myself. I stepped out of a regular work schedule at the end of last May, so I suppose six months isn't to long to lollygag and flounder. I've been writing early mornings this last week, though, and am enjoying the progress I'm making on my short story. I've allowed myself the freedom to begin the story several times, and just this morning while waking up I found the ending unfolding with details I hadn't envisioned before. Dragonfire and consciousness. Flames and cognition. A new beginning all over again. What joy!